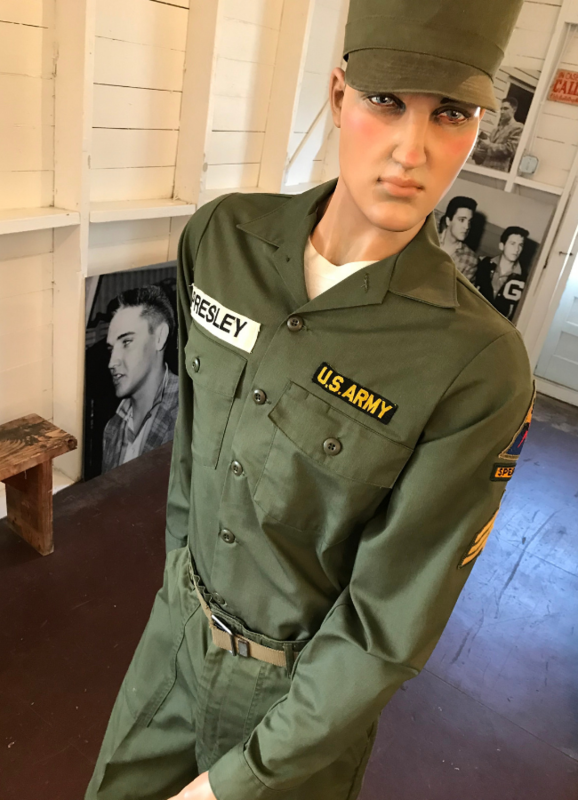 When Elvis Presley sat in the chair under the scissors of Jimmy Peterson at the Army barracks barbershop at Fort Chaffee in Fort Smith, Arkansas, many people feared the haircut would hurt the famed musician’s blooming career. Quite the opposite happened. The popular musician’s patriotism pulled heartstrings, and after serving his country, Elvis’ musical career became stronger than ever. 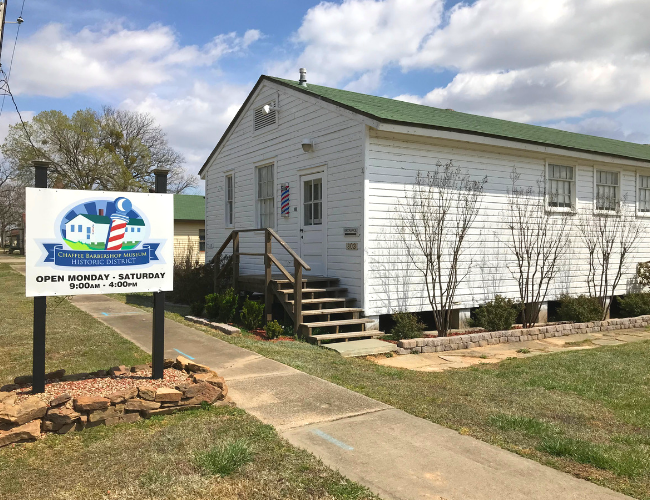 Today, Elvis fans can find a unique experience at the Barbershop Museum at Fort Chaffee Crossing. The singer’s haircut took place on March 25, 1958. Each year on the Saturday closest to that date, the museum hosts the Elvis Haircut Festival. 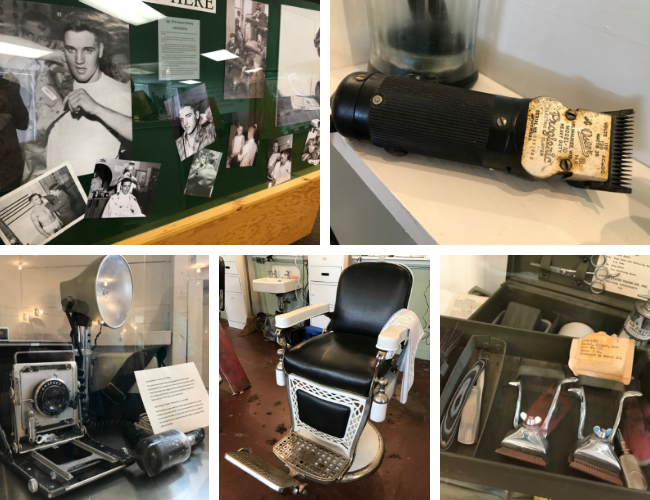 On March 23 this year, visitors can see the barbershop as it was when Elvis came in for his famed cut, and even brave the chair for a crew cut all their own. Fort Chaffee opened in 1941 as an effort by the U.S. Government to prepare stations of training across the nation with a potential war on the horizon. It took 16 months to build and prepare the entire base, with the first soldiers arriving on D-Day, Dec. 7, 1941. Over time, the base has served as more than a training facility for American soldiers. During WWII, it was used as a prisoner of war camp for German soldiers, and in the mid-70s it became a processing center for Southeast Asian refugees. In 1997, command of the base changed hands from the U.S. Army to the Arkansas Army National Guard. Part of the base was used for drill training with a large portion redistributed to the Fort Chaffee Redevelopment Authority. Empty barracks on the property served as a home to more 10,000 individuals in the aftermath of Hurricane Katrina. With 66,000 acres still used for combat training, the remaining grounds hold new construction: the Janet Huckabee Arkansas River Valley Nature Center, a truck driving educational program and the Chaffee Crossing Initiatives. Today, the community owes its vitality to the Fort Chaffee Redevelopment Authority, which operates Chaffee Crossing. The Crossing is home to a historic district that includes the Barbershop Museum, Memorial Plaza, Vietnam Veterans Memorial, Hardwood Tree Museum and a historical museum depicting the usage of the spaces over time. Additionally, smaller areas have developed including a microbrewery, furniture store, restaurants and commercial office space. The Cre8tive Arts Network, Nature Center and Wells Lake provide a unique experience for visitors to the special amenities. The Manness School House is the only building in the area original to the grounds when the government took over, dating to 1937. A wedding venue and RV park also provide unique ways to experience Chaffee. A planned community system is in the works with ideas leaning toward space where families would live, work and play together without ever having to leave their neighborhood. 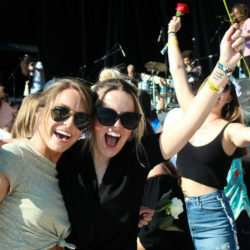 This year’s festival is Saturday, March 23. 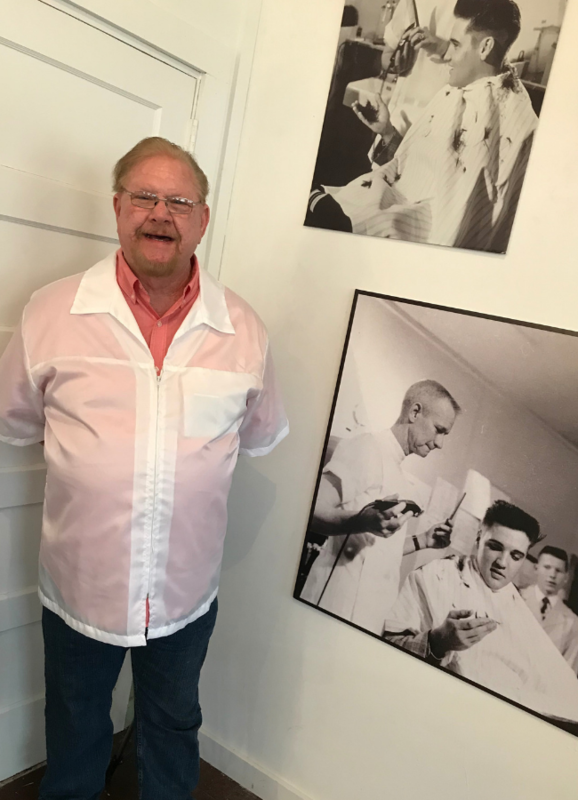 A highlight is local barber Jimmy Don Peterson, son of the man donning the clippers in those pictures of Elvis. Jimmy Don comes each year to help fans celebrate the special occasion. Free buzz cuts will be offered from 11 a.m. to 1 p.m. And the Barbershop Museum is open for the day from 9 a.m. – 4 p.m. Whether you stayed a stint in the Heartbreak Hotel or simply respect The King himself, you will be fascinated by the nostalgia of the memorabilia. So stop for a minute and see the camera that took his picture and microphone used by reporters that day. You can even see a field haircut kit used to keep the crew clean cut. Whatever you do make sure you take your camera and snap a shot or two. You know, before you leave the building.